You deserve a piece of luxury. A place to recharge and treat yourself as it deserves. The Mediterranean Suite offers the pieces that complete the perfect holiday puzzle. Salty hair & sandy toes. This is summer! A great place to stay; a perfect sleep; a magnificent sunset; unique memories… It’s all here, come and seize them! 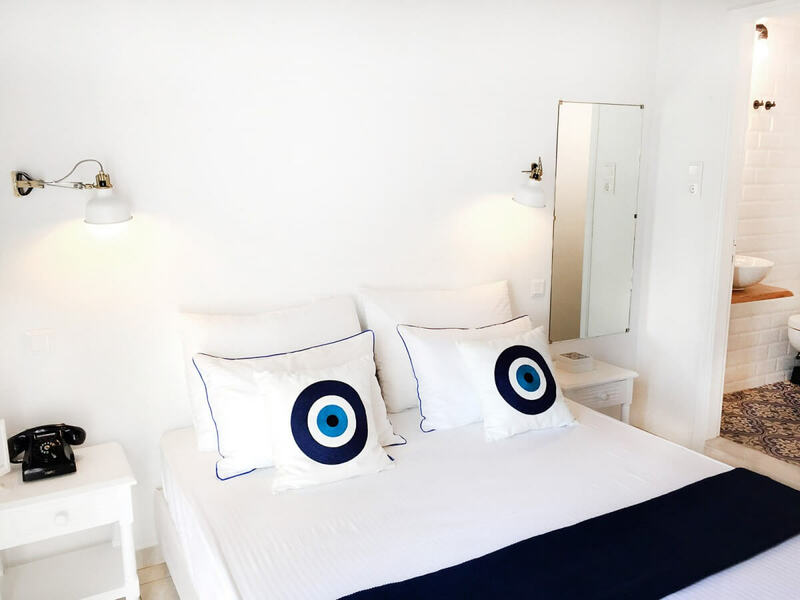 Following the simplicity and character of the Aegean and Cycladic architecture, we have designed a suite and three studios that combine modern conveniences with discreet luxury. Our aim is to create for you a place where you can rest, relax and revitalize. Enjoy the aesthetic features of our suites and studios, our warm hospitality and the natural beauty of Kini and Syros. 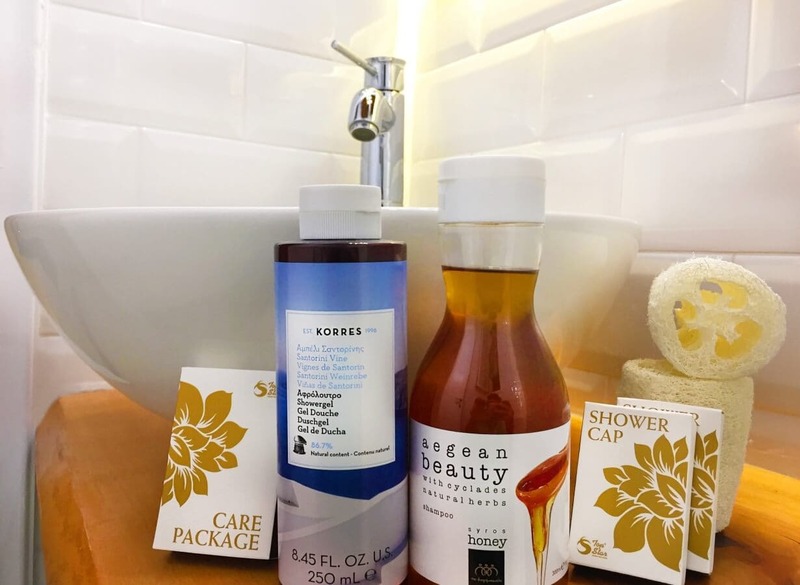 Natural Korres™ amenities & toiletries are offered in the suite. Showergel: Korres™ Santorini Vine is a soft moisturising shower gel with a fresh, fruity scent of blossoming greek vineyards. Its wheat proteins and Althea extract form a protective film on the skin, maintaining its regular hydration level. Shampoo: Aegean Beauty™ is a luxury shampoo with honey from Syros. 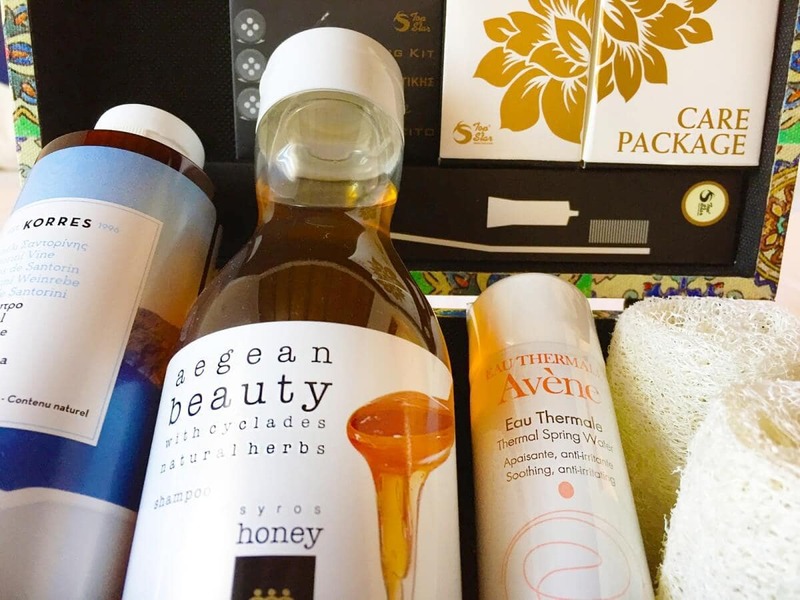 Using the unique properties of honey, it hydrates, nourishes & smoothes the hair, and has a divine scent. We also provide you with natural luffah sponges, shower cap, care package, toothbrush and a sewing set so you won’t need to buy anything. For many of us, enjoying a nice cup of coffee is probably the best time of the day. 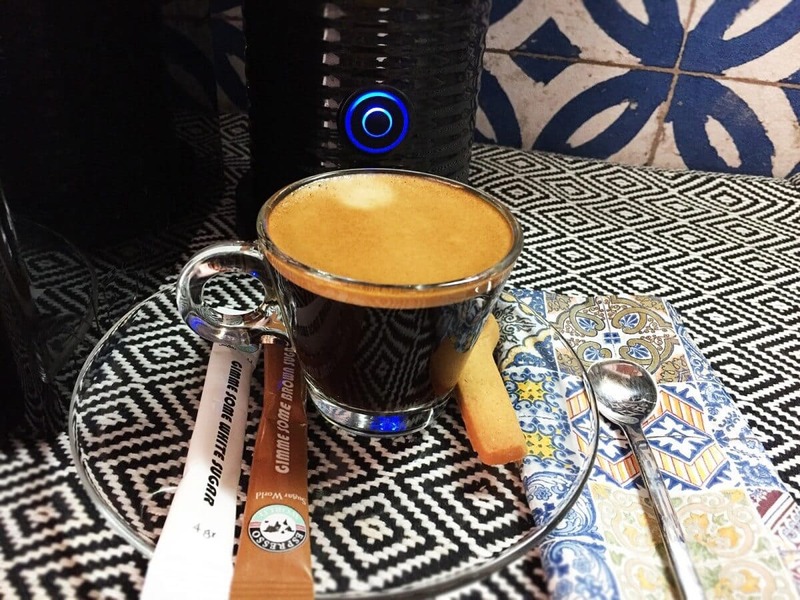 In our suite you will find a Nespersso™ machine with capsules to blend your favourite espresso. If you prefer cappuccino, we also provide an Aeroccino™ machine. 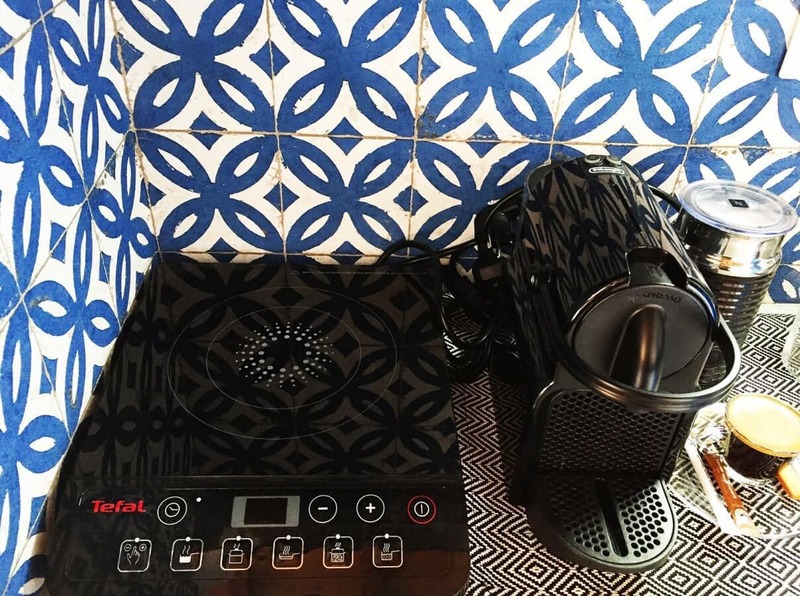 Cooking facilities: The kitchen of the suite is equipped with induction cooking facilities from Tefal™, french porcelain dishes and all the cooking utensils you will need to prepare a healthy brunch or dinner. We strongly believe that a good sleep is a foundation of a memorable vacation. In our suite we offer you a Queen-size bed (160cm X 200cm) which is equipped with a Media Strom™ ultra–comfortable othopedic mattress (cobines memory foam, microsprings, 5 comfort zones and coco-latex) that will gently embrace you every night and will ensure total relaxation and a healthy sleep, regarless if you are a front, back or side sleeper. Wake up refreshed, with a smile, ready to take on the day. We provide you the opportunity to select the pillow that fits your sleeping needs. You may select between 3 different pillow types, so you can have the sleep of youl life. High: 850gr pillow with astron percalle fabric and double perimetric security stitches, filled with 100% silicone ball fibre hollowfill, perfect for people with allergies. Medium: 760gr pillow with 3 chambers combining softness and proper support. Filled with 100% ball fibre in the outer chambers and 100% duck feathers in the inner chamber, 100% cotton cambric casing. 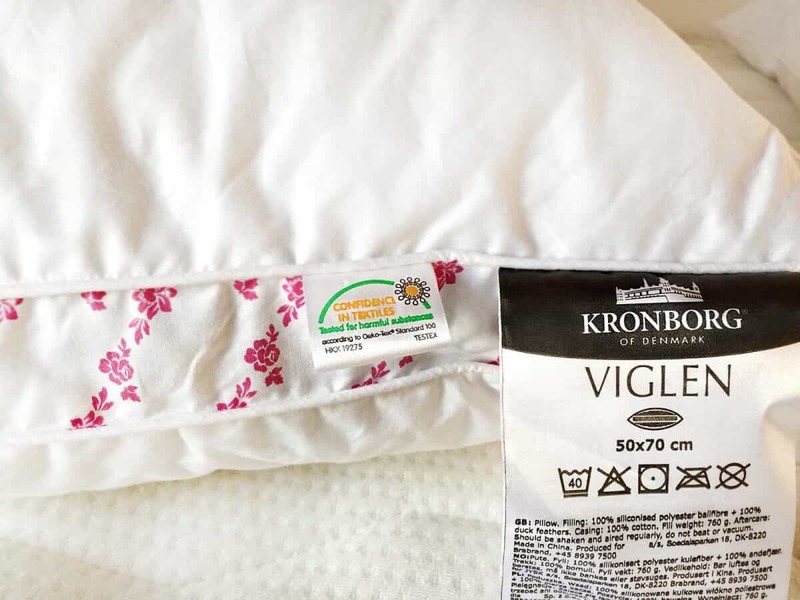 Low: 600gr pillow filled with 75% recycled fibers & cloth / 25% polyester hollow-fibre ball fibre, the fabric composition is 100% polyester micro fibre and the construction is quilted. 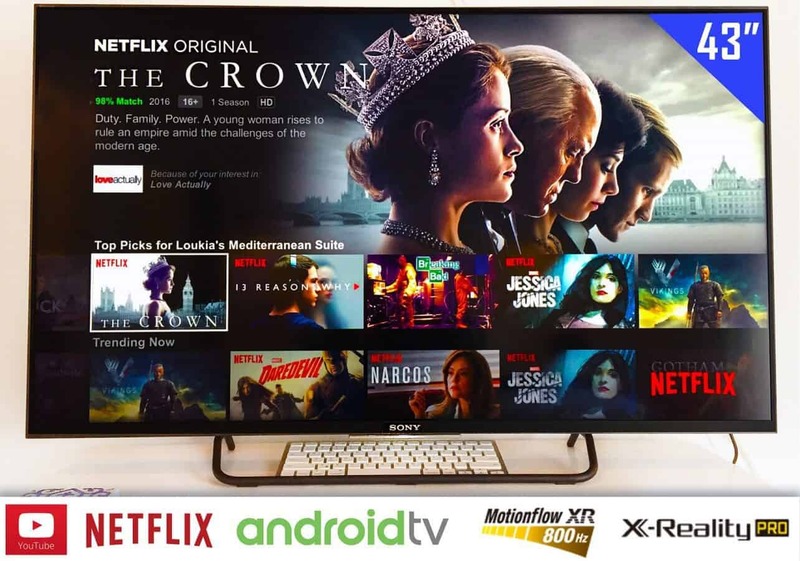 We provide you with a 43″ Sony™ Bravia Android TV with NETFLIX. We offer you NETFLIX HD so you can watch top quality movies, series and documentaries in High Definition. The TV has a large set of channels and you will always find something interesting to watch, while you can always browse YouTube for extra content. 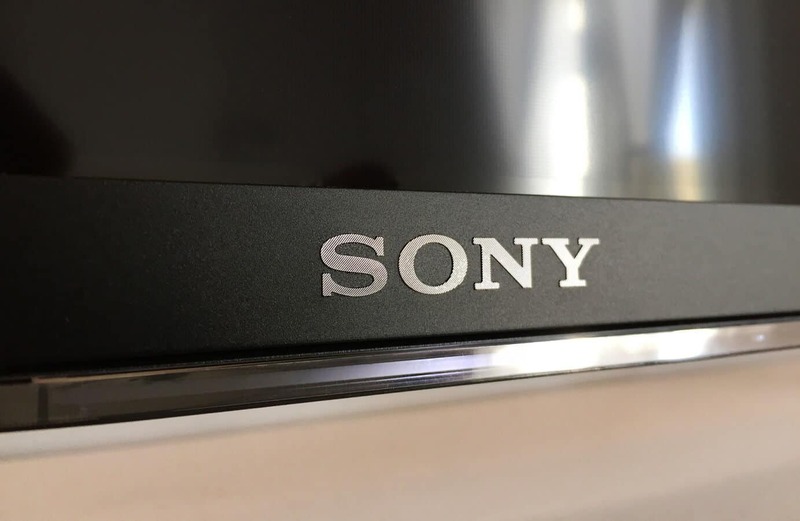 We offer the modern traveler, the digital tools which make his vacation even easier by providing a Sony 43″ Android TV loaded with a large set of applications & smart capabilities. This way you can check the weather, get a glimpse of the global markets & news with just a push of a button. If you just want to have fun, you can watch your favoutite videos on YouTube, play an Android game or browse the Internet. 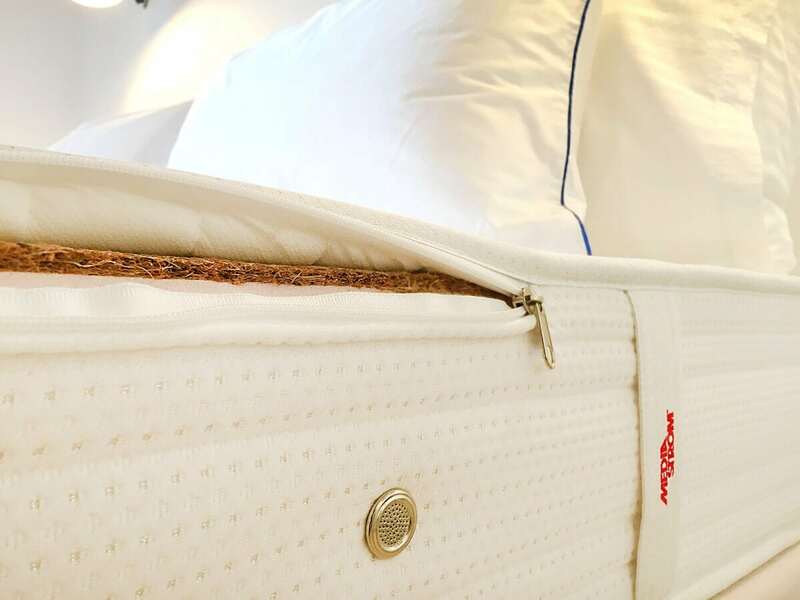 100% cotton linen: The sheets and pillowcases are made from luxurious hypoalergic sateen cotton. The towels provided are 100% hypoalregic 650gr cotton. 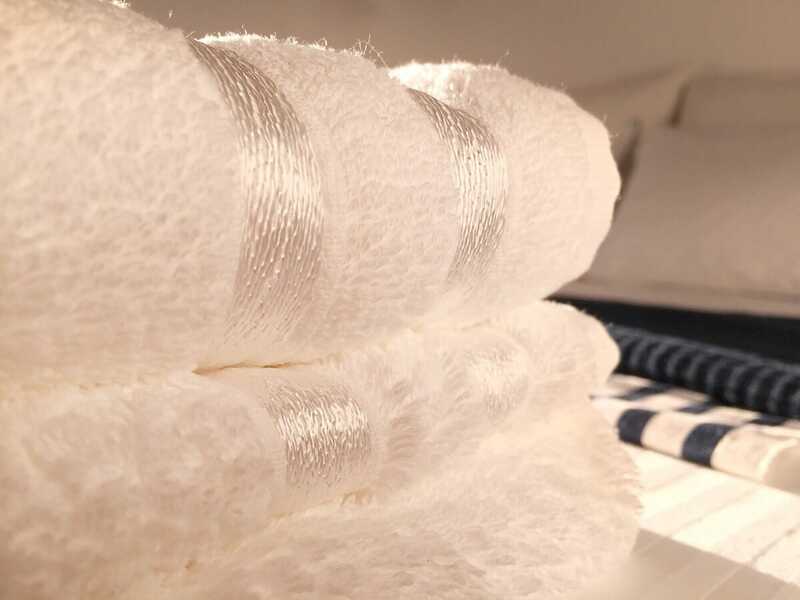 Centification: All the towels, pillows, linen and beddings have passed the Oeko-Tex environmental and health certification. 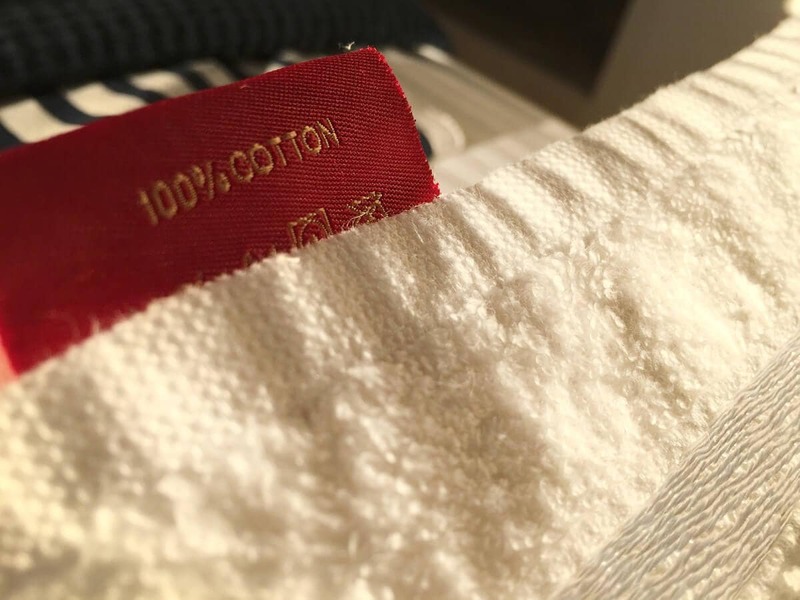 Oeko-Tex is the world’s leading health label for textiles. The label indicates that the product has been tested and validated on the basis of the requirements of the international Oeko-Tex Association. 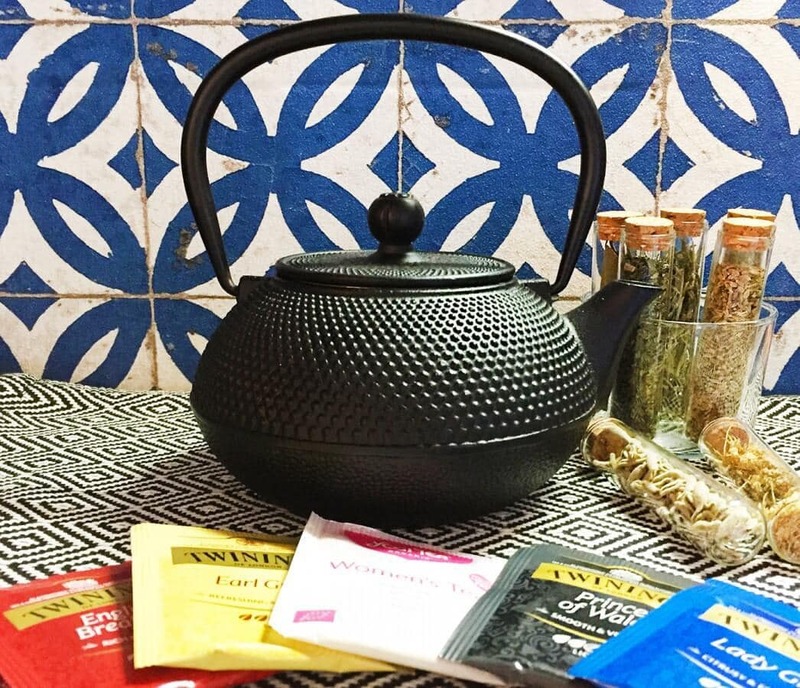 For tea lovers, in our suite we offer you an electric kettle to boil your tea and a traditional Japanese cast iron tea pot to brew the perfect tea.